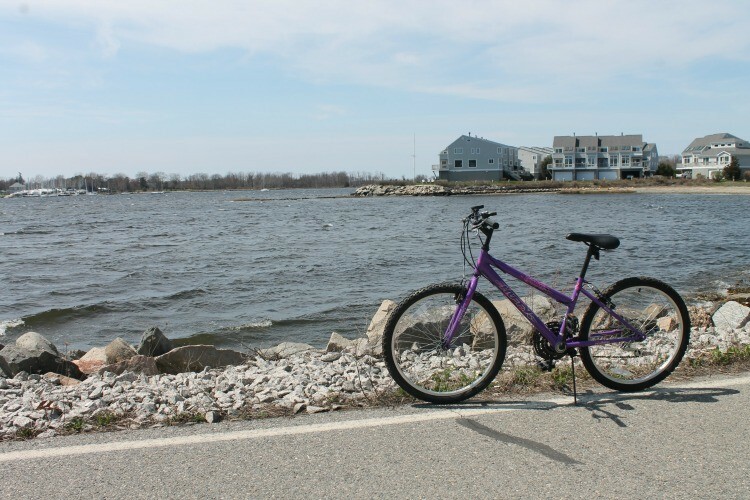 Hugging the shore of the Narragansett Bay, the paved 14-mile long East Bay Bike Path is a great way to get outside and to be active with your family in Rhode Island. Whether you and your family decide to bike it, jog it, or walk it, the scenery can’t be beat. 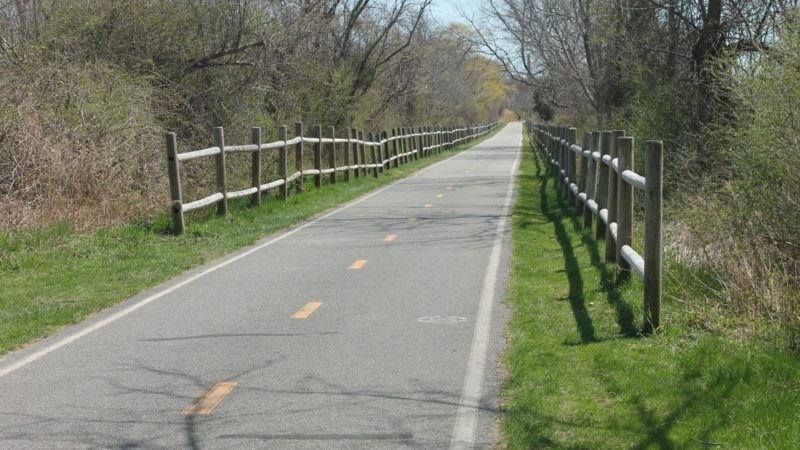 If you are looking for ways to reduce screen time, the East Bay Bike Path spans multiple towns and is a wonderful option for some free fun in Rhode Island. In an effort to get my family off of those darn screens and outside to enjoy the fresh air, I brought all four of our bikes to the repair man to be tuned up. I figured what’s better than a family bike ride to get out there and explore nature and be active at the same time. The East Bay Bike path in Rhode Island has quickly become one of my family’s favorites when it comes to cycling. 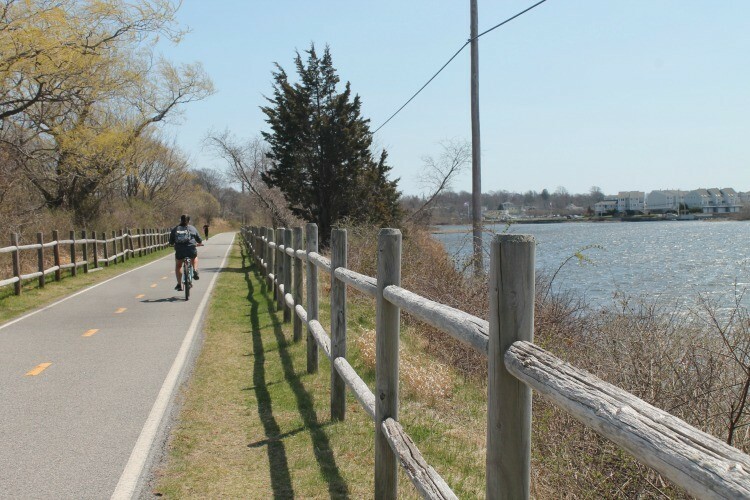 The paved path runs just over 14 miles in total, and people who use it can enjoy the sights as the path takes them by marshes, through State Parks and right past the Narragansett Bay. Bike It or Hike I0t! 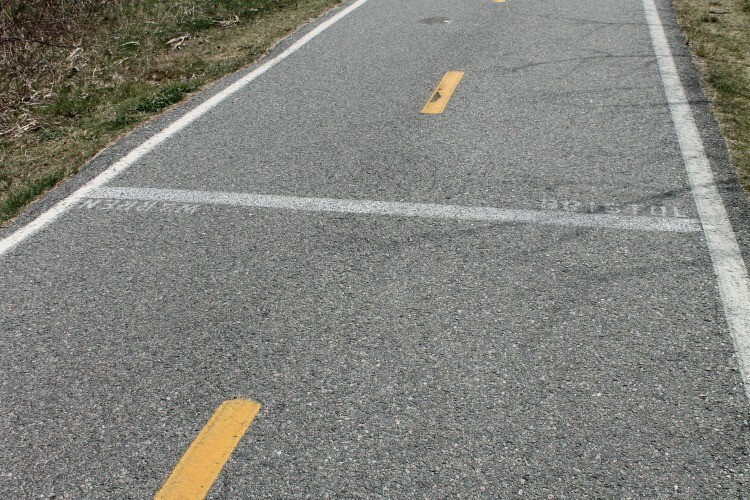 Just because it’s called a bike path doesn’t mean that it’s just for bikes. Whether you feel like bringing your bikes to the path, jogging, rollerblading or just going for a leisurely stroll, the Easy Bay Bike Path will not disappoint. You can even bring the family dog along with you (as long as you make sure to clean up after them, of course). The entire 14-mile path is paved, well-maintained and it’s flat, meaning that there are no big hills, so you and your family can ride or walk comfortably along the entire trail without having to worry about anything too strenuous. If you panicked when you read that the path was over 14 miles long, please don’t worry. There are many places to hop on and off the trail along the way. No matter where you decide to pick up the Easy Bay Bike Path, you’re bound to be near one of the eight parks on the bikeway. The parks along the route include India Point Park, Bold Point and Squantum Woods in East Providence, Haines and Veterans Memorial Park in Barrington, Burr’s Hill Park in Warren, and Colt State Park and Independence Park in Bristol. Any one of these parks are perfect for a picnic lunch or just to stop and catch your breath. The Easy Bay Bike Path connects neighborhoods, schools and business districts. As you can imagine, it does cross some streets along the way. 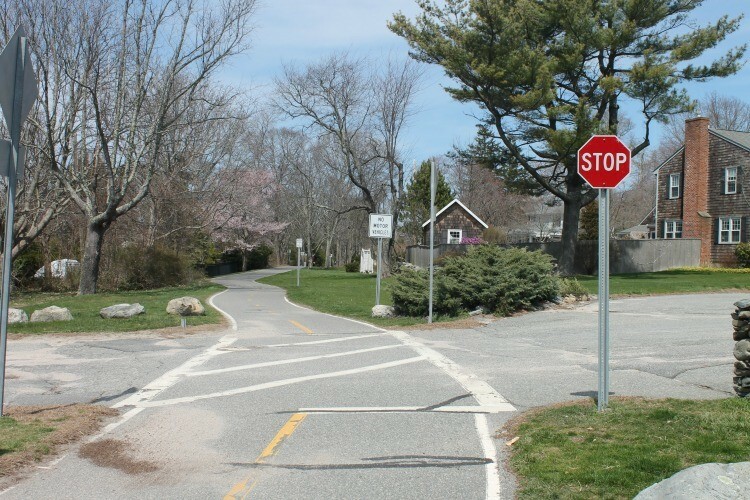 There are stop signs at these intersections for both the people on the bike path and the people driving on the road. I’ve always found the drivers in the area to be very courteous to the people on the bike path, but it is important for people on the path to pay attention at those intersections. Safety first. 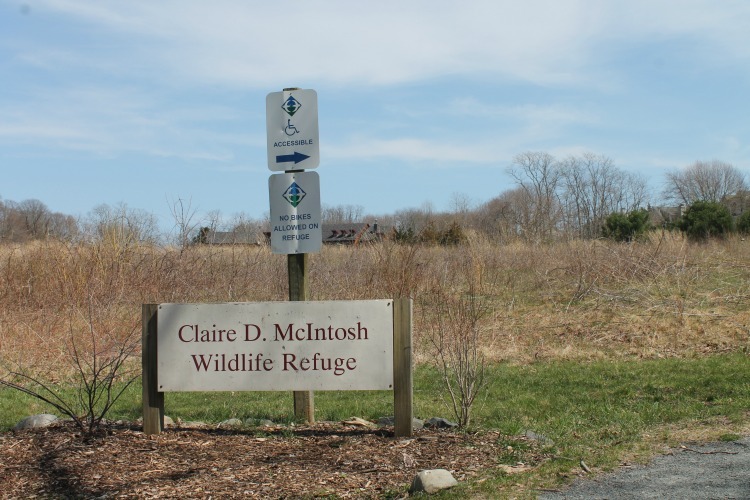 In Bristol, lock up your bikes and explore the Audubon Society’s McIntosh Wildlife refuge. It’s a fun place to hop off the bikes for a few minutes and rest your tired feet while you search for wildlife. 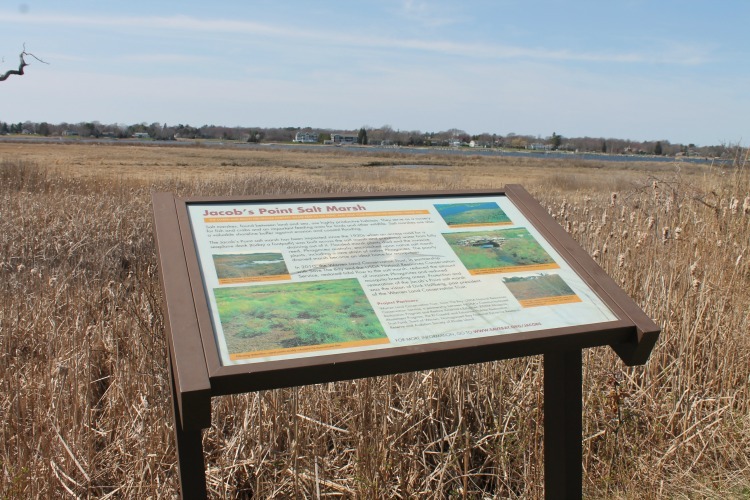 The Jacob’s Point Salt Marsh is another great place to stop and explore. There is a trail that takes you back into the marsh so you can bird watch and gaze at all of the beautiful wild flowers located in the marsh. This salt marsh is only accessible from the bike path. 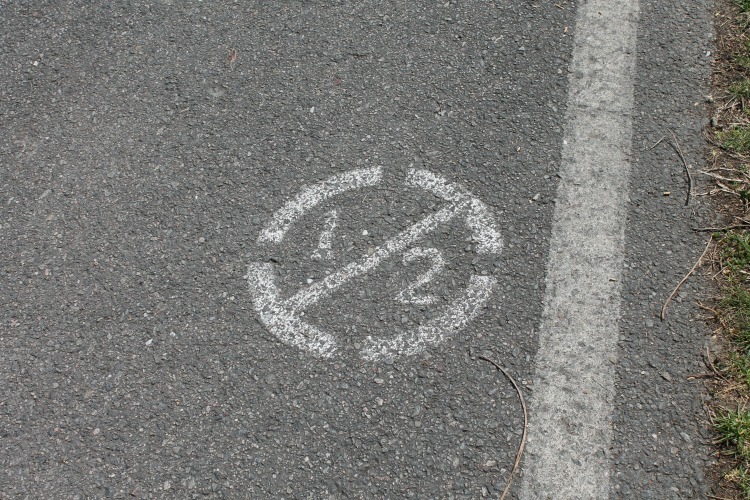 Along the entire bike path, there are markers every half mile so that you can keep track of how far you’ve gone. I appreciate being able to measure our distance and sure, there is probably an app for that, but it’s just as easy to look down at the ground as I am passing by. The East Bay Bike Path runs through four towns in Rhode Island (East Providence, Warren, Barrington and Bristol), so there are quite a few places to park along the bikeway. In East Providence, there is parking at India Point Park, but get there early because on a nice day the lot fills up quickly. Warren has two municipal lots and there is some parking in Barrington at the Shaw’s Supermarket plaza. As for my family, we park at Colt State Park in Bristol for several reasons. The first is that it is close to the other end of the path, so it helps give us a good way to measure how far we’ve gone. The second and most important reason is that there are public restrooms inside the park. They are not right off the bike path, but they are not that far, either. Plus there are picnic tables at the park for lunch or a quick snack after your ride. There is no public drinking water available along the path, so make sure you bring lots of water with you. Sure, there are some convenience stores and even an ice cream shop or two along the path where you can purchase bottled water and/or snacks, but if you have the kids with you, I strongly recommend bringing your own drinks and snacks along with you. Oh, and don’t forget the sunscreen. While some of the path is shaded, much of it is out in the open sun, so you will need protection from the sun. 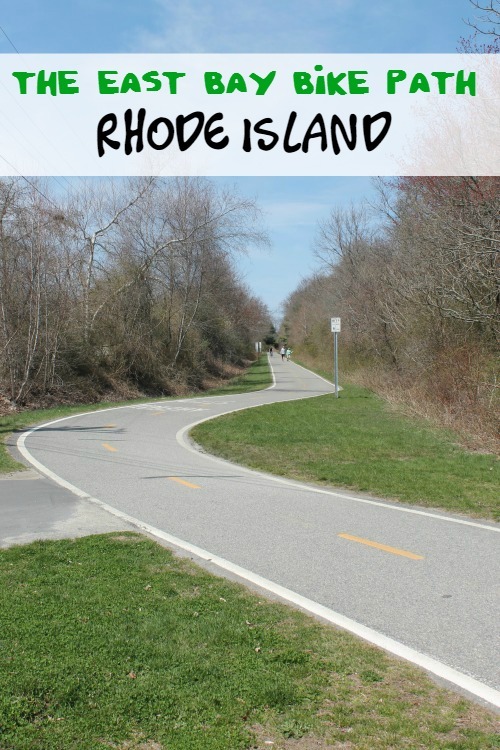 Getting out and exploring the East Bay Bike Path is a wonderful way to get the family outdoors and enjoy some free fun in Rhode Island. Go at your own pace and spend some quality family time along the trail. That’s what it’s all about, right? That looks like a really nice bike path. Along with the view, I bet you can get a nice breeze being so close to the water. I’d love to find a scenic bike route. We have a state forest here that may offer this. 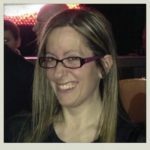 I’ve never been to Rhode Island before but now that I live on the east coast, I’m hoping to make a visit! I’m a fan of places that are outdoor-sports friendly! I love biking to sight see. We’ve done it before in Charleston and it was so fun! I lived in RI for 9 years and love it. I believe I have driven by this path. I have heard the views along the path are beautiful. This looks like such a lovely place to check out! I’ve never been to Rhode Island! 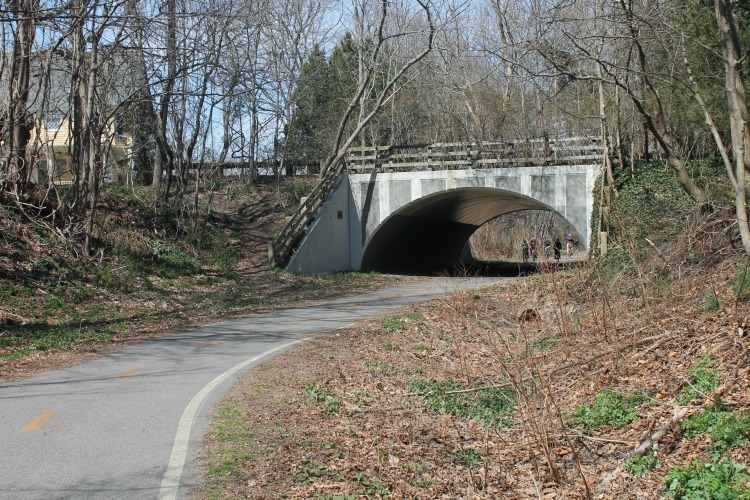 Heard great things about this RI bike path – great for our friend circle of five! 4 of us biked, one bladed, and everyone enjoyed the scenery, and very flat path! Will definitely visit it again. I love going by bike when the weather is nice and the surroundings are pretty 🙂 I used to do this super often but living in London doesn’t always make it possible. That trip sounds like a great getaway! I have not ridden a bike in YEARS. This looks like a fun / nice path to go on.